If you are a local builder, electrician, joiner, roofer, or DIY enthusiast in Leeds - you can buy any model of power tools in the Dewalt range from this local power tool agent. Thinking of purchasing a new 18v, 24v, 36v, or the new 54v cordless sds hammer drill from Dewalt? All of these area available and at amongst the cheapest sale prices you will find in Leeds as well as Batley, Bradford, Brighouse, Cleckheaton, Dewsbury, Halifax, Huddersfield, Mirfield and Wakefield. Save Money and Buy the Hand Tool, Power Tool, Accessory, or Consumable Item That You Need To Get The Job Done! MF Hire in Leeds stock and have access to a wide range of hand tools, power tools, garden machinery, accessories, attachments, and consumable items from all of the leading UK and Worldwide manufacturers and suppliers. Unibor Mag Drills - manufactured in the UK, a selection of magnetic drills as well as high quality and recommended annular cutters. Favoured by metal fabrication contractors and engineers. Whatever brand of professional power tool that you wish to buy in Leeds, MF Hire will strive to supply it to you in a fast timescale as well as at a competitive price (amongst the cheapest you will find in the UK!). If you are looking to buy locally in West Yorkshire we offer a fast delivery service, or alternatively you can arrange to collect in-person from our tool shop that is based in Morley (near Gildersome and Tingley) at Howley Park Road East, Morley, Leeds, LS27 0SW. Our sales outlet sells all the most popular brands of professional power tools including air tools, cordless tools, and electric (110v and 240v) power tools from the likes of Alfra UK, Bosch, Dewalt, Hitachi, Makita, Milwaukee, Powerbor, Rotabroach, Ryobi, and Stihl. We also sell powered equipment and products from manufacturers including Altrad-Belle, Birchwood, Defender, Harringtons, Honda, Husqvarna, Karcher, Makita, Pramac, Ryobi, Stephill, and Stihl. If you are a joiner, a kitchen or fitted bedroom installer, or a contractor that recognises what a biscuit jointer tool can do! 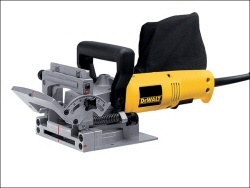 Buy your next Dewalt DW682 biscuit jointer from MF Hire based in Morley, Leeds LS27 0SW. Available in 110v or 240v this is a high quality power tool that previously used to be sold in the UK under the famous ELU woodworking tool brand. 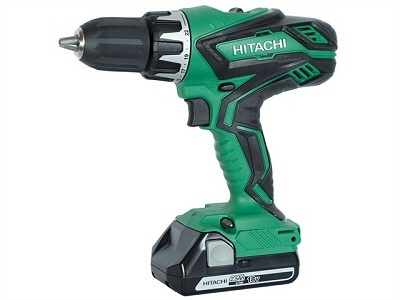 The Hitachi DV18 is a popular high powered cordless drill that is favoured by trade users including builders, electricians, joiners, property maintenance contractors, and many more tradesmen. 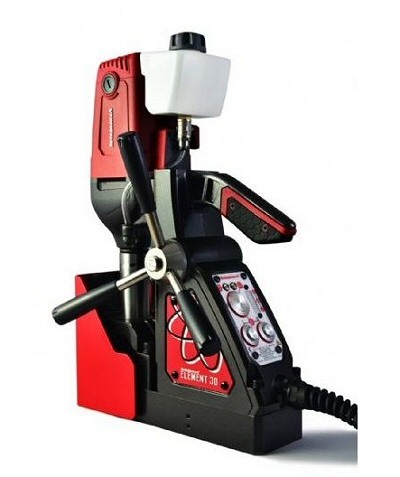 This combi drill is capable of drilling into a wide range of materials including wood, plastic, various types of metals, and also brick work and masonry. As standard equipment this power tool is supplied with 2 batteries, a fast battery charger, screwdriver bit, and a useful carry case. The Element range of electromagnetic drilling machines from Rotabroach are right up to date when it comes to features and benefits on a modern mag drill. Packed with revolutionary electronics and controls the Rotabroach Element Mag Drill is a popular choice for anyone that undertakes metal fabrication work or steel erection work whether it is on-site or in the fabrication shop. When using standard annular mag drill cutters there is a Rotabroach Element mag drill to suit nearly all metal drilling applications - with cutter capacities ranging from 32mm to 100mm in hole diameter size. Hand and Power Tools allow you to work not only faster, but in a more efficient way too. This is especially the case for trades that rely daily on hand and power tools to help them undertake all types of maintenance and repair work as well as home improvement and work on-site. Choosing a well recognised brand of power tool ensures that you can be ensured of not only enjoying the strong performance that it can deliver, but also peace of mind as regards service life and it’s robustness too. Whilst consumers that only do the occasional piece of DIY work can comfortably use a brand such as Black and Decker or Einhell, trade users will need something far stronger and that delivers higher performance such as provided by the tool brands of Bosch, Dewalt, Hitachi, Makita, Milwaukee, and also Stihl. If you are a builder, electrician, engineer, a plasterer, plumber, or maybe a roofing contractor - we advise you to look and buy a professional power tool from one of these listed trade brands. MF Hire specialise in supplying portable power tools to trade users throughout West Yorkshire. This includes to customers and businesses that are based or operate in Batley, Brighouse, Bradford, Cleckheaton, Halifax, Huddersfield, Leeds, Mirfield, Normanton, and Wakefield. If you are a regular purchaser of hand or power tools we invite you to apply to open a trade account with MF Hire in Leeds. Please contact us for further details or an application form.